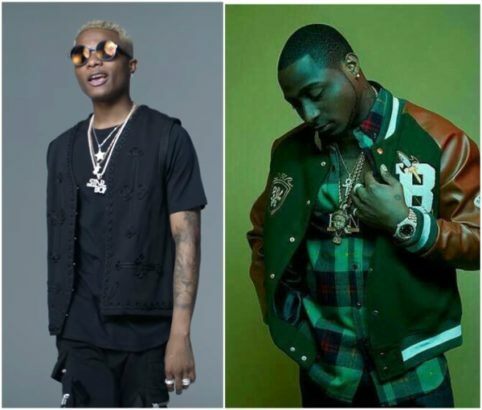 In what has taken many fans by surprise, Wizkid has reconciled with Davido onstage. The star singers have been at war all through 2017, with the beef between both stars dividing fans of both singers. At some stage, Wizkid clowned Davido, indirectly calling him a frog. But that is no more. Wizkid and Davido have squashed their beef. On Sunday, December 24, 2017, the singer held his homecoming concert tagged ‘Wizkid: The Concert’. The singer brought Davido on stage, where they both performed to OBO’s hit single ‘FIA’, and shared a hug, effectively ending the beef. Social media has been lit with the news of the two superstars performing together. Davido will have his headline show ’30 Billion Concert’ in Lagos on Wednesday, December 27, 2017 at Eko Hotel & Suites. Let’s hope Wizkid shows up to continue this found friendship.